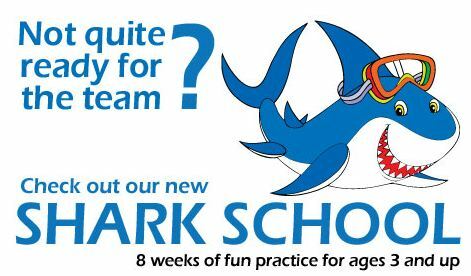 Shark School is our program to help your new swimmer transition from swim lessons to swim team. It’s a GREAT introduction to summer swimming and is a whole lot of fun too. We’ve divided Shark School into two age groups: 3-5 and 6&up. The instructor-to-swimmer ratio will vary for each group, and every child gets personal attention and instruction from swim teachers in the water with them. We group the kids according to skill level, so non-swimmers get a great start and partial swimmers can keep moving forward. Your swimmer will build up the strength and endurance to swim the length of the pool (or even laps). We will introduce diving and lateral breathing with the freestyle stroke and spend a bit of time on breaststroke and butterfly – all in an encouraging and pressure-free environment with no meet competitions. 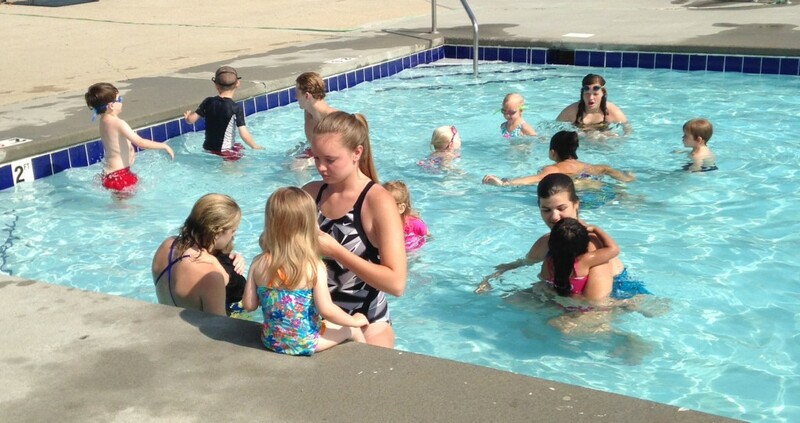 Once your child (age 5 and up) can complete a swim test, he or she can move up to the team if you want! Due to our very tight ratio of instructors to students, your family must choose either the morning or evening program for shark school. If you need to switch on a particular day, just let us know! *Yes sibling discounts apply! Take $10 off for each sibling down the line (start with the highest cost first if you have a mix of shark school and swim team kids). **If you have a current GPRA membership -or- have kids on swim team and have paid a swim-team-only membership, you get the Members rate for shark school.